Our Task Chair of the week is a departure from the normal –The Via Swooper is fun, dynamic, and one of our office favorites. This unique take on a task chair is a great way to keep you sitting fit and keep your back feeling strong. This bouncing and turning stool promotes movement while working, helping to keep your core strength. The health benefits of the Swooper include improved blood circulation, hunching prevention, and it’s good for intervertebral disc health. Coming in four ultra-suede seat covers with matching spring colors, this stool is sure to get you moving while you work and will keep your office looking modern. The Swooper has a weight capacity of 265 lbs and has height adjustability, making it perfect for those short and tall. We love this stool because of how fun it is to sit in. The 3D movement is enjoyable, easy to spin in and helps us focus while we work. The seat has a great cushion that makes you sit up straight, and makes you feel healthy while sitting. 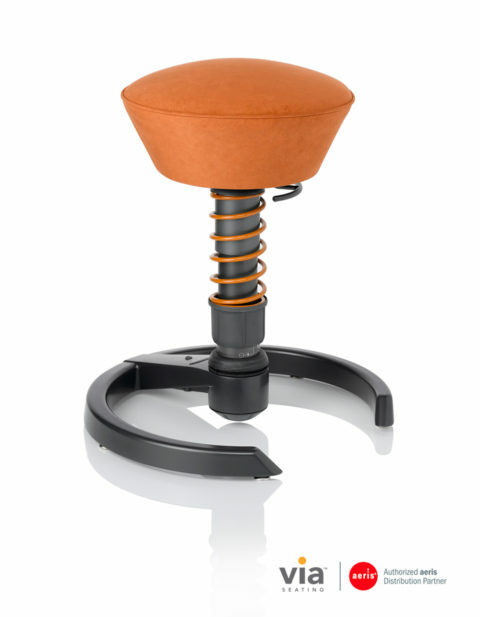 Come in and try the Swooper next time you’re in the area – we think you’ll enjoy this great stool as much as we do!